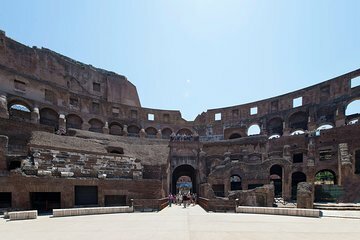 Take the kids to see Rome’s most famous monument — without the stress— on a private, family-friendly tour of the Colosseum, Roman Forum, and Palatine Hill. Save time and patience with skip-the-line access, and enter the arena through a special entrance once used by gladiators. The whole family will have fun while learning about the life and legends of ancient Rome, from the realm of warriors and wild animals to the ruins of noble palaces.